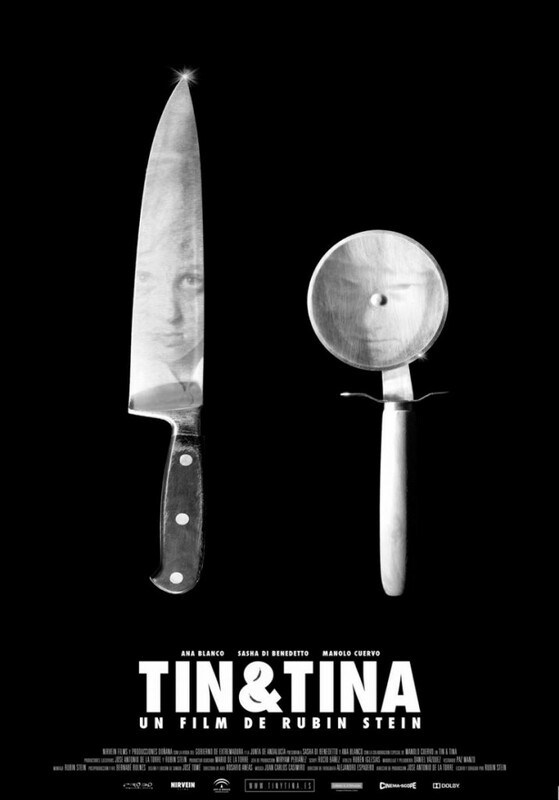 Rubin Stein is the director of Tin & Tina, a successful short movie that we can now watch online (https://vimeo.com/148534031). Now he is working on Light & Darkness trilogy second episode to be called NERO. We were really curious about this new work and we couldn’t help asking him some questions. Well, I wouldn’t say they have obscure gore desires… I would just say they’re curious about the mysteries of life. Are you following the same pattern on NERO? NERO is the second short film of the trilogy and we’re attending to a greater mystery this time: the president of the nation has survived a terrible fire at his home. All of his children are dead. A wise journalist will be the first one to interview him and what she will suspect is absolutely terrifying: What if the president burned his children alive just to win the presidential elections again? What else can you tell us about this second short? Will you keep on using the same cinematographic techniques: black and white, one sequence, fixed shot…? Again, it’s a black and white suspense short film but, while TIN&TINA was based on a real-time visual suspense, NERO is based on a psychological suspense. So, here there’s no reason for keeping the camera still or shooting the movie in a one-take shot. Technique must always be used with a narrative reason. Because of that, I want to explore some different techniques regarding composition and movement in this movie, but, definitely, the great challenge will be to achieve touching performances from the two main actors as they must face very complex and ambiguous characters. Did you expect TIN&TINA to be so successful? No way. In fact, that was one of my stupid concerns during the shoot. I was thinking “Oh, god, this is too creepy. Maybe, we’re crossing the red line and nobody will pick this movie for a non-genre film festival.” Fortunately, about thirty seconds later I realized it was not my problem. This was the film I wanted to make and this was the story I wanted to tell. Period. A filmmaker must think of his audience but must not be obsessed with satisfying them. How did the idea for the whole trilogy start? Well, it was not my initial idea to make a trilogy of shorts, it just came up. When I finished TIN&TINA I began to think about my next short film. I had several projects on my desk and after several months lost in a sea of doubts, I suddenly found some interesting thematic and stylistic connections between three of them. I saw the triangle crystal clear: it had to be a trilogy. How are the different episodes connected? Basically, LIGHT&DARKNESS will be made of three black and white suspense short films exploring the dark side of human beings. So, three different stories (based on the same topic) that you will be able to enjoy separately or together as a a medium-length film. As human beings we’re capable of the best but we usually choose the dark side. We are good and evil at the same time and, at the end, life is always a fight between light and darkness. Elena Anele is the woman in charge of SPANISHFEAR.COM, Horror Rises from Spain and Un Fan de Paul Naschy . A literature and cinema researcher, finishing her postgraduate studies with a thesis about the mystic filmmaker José Val del Omar. She has published in different media and books as Fangoria or Hidden Horror. She has also been in charge of several translations including Javier Trujillo’s complete works, La Mano Film Fest, The Man who Saw Frankenstein Cry and many more.